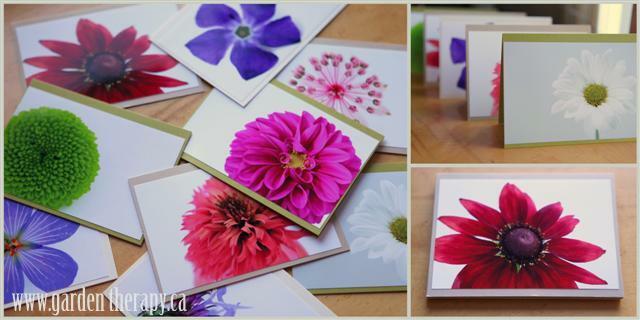 In celebration of the newly opened Garden Therapy Handmade Shop we are giving away a set of six Studio Blooms art cards. These cards have vibrant 4×6 photos of the flowers photographed for the throw pillows in the store. Each photo is affixed to organic, recycled paper cards. Givaway runs from now until December 15, 2011. Sorry, contest is open to the US /Canada only. And the winner is….Yolande! What luck the very first entry was chosen. Add a Garden Therapy shop item to an Etsy Treasury List and come back here to comment – 3 entries. And if you buy anything from the Garden Therapy shop, we will give you a set! Just mention it when checking out. thanks to my friends at aagaard farms, i am delighted to now follow you on facebook and here at your wonderful blog! Thanks, Prairie Girl. Please share away on Tumblr and good luck!